A soothing, repairing and moisturizing after-sun treatment that regenerates the skin after sun exposure. This soothes, regenerates and repairs the skin after sun exposure. Its anti-radical and antiglycation active ingredients fight skin aging by protecting against free radicals. 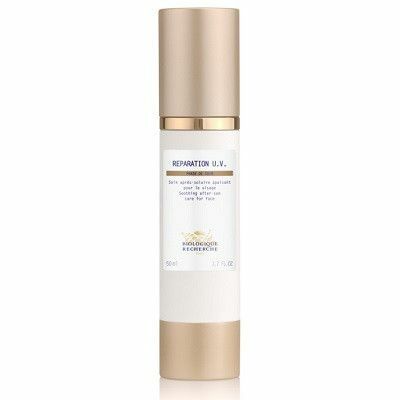 Recommended for all Skin that have been exposed to strong UV and infrared rays. Apply to the face, neck and cleavage after the exposure to the sun. Gently massage until absorbed. A soothing and nourrishing after-sun treatment that regenerates the skin after sun exposure. Apply to the entire face, neck, and décolleté after the exposure to the sun. Massage gently until the product is fully absorbed.